Experience and technology applied to the most advanced industrial automation. Accessibility, Maintenance and Service. Thanks to Synergy Automazioni you can sleep soundly. Over twenty years of experience in the development of electrical systems and advanced automation systems, covering everything from light industry to heavy industry, serving national and international buyers active in multiple sectors: brick manufacturing, metallurgical, pharmaceutical, food and chemical, as well as electronics, robotics, wood industry and handling systems. production, start-up and maintenance of turnkey plants. Synergy Automazioni can produce any software for industrial automation, from material handling, to process control and robotics. 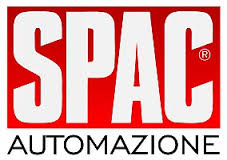 Synergy Automazioni uses "Spac Automazione" CAD software to produce electrical projects. Maintenance is essential to keep performance and efficiency of industrial plants at optimum levels.